Almost a year ago, the "West Wing" aired an episode where the United States was at war. An observation was made about the Presidential Seal during war time. The Presidential Seal, has a shield bearing bald eagle clutching olive branches in its right talons and arrows in its left. 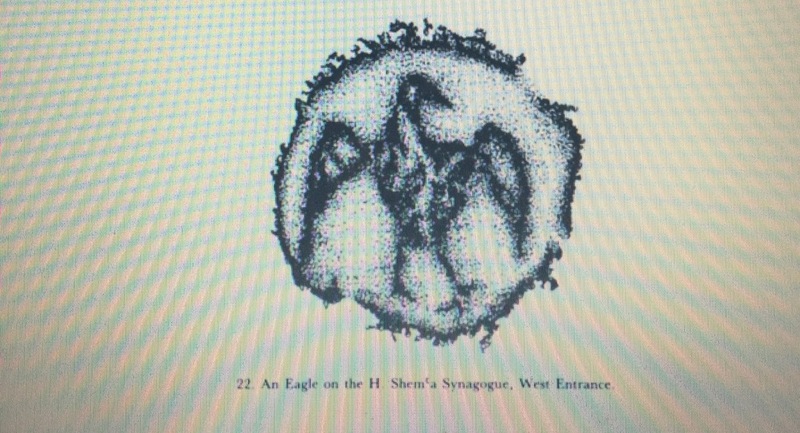 The eagles head is turned toward the olive branches. The "West Wing" mentioned that in times of war, the Presidential Seals are replaced with an eagle whose head is turned toward the arrows. Another view by The American Heraldry Society Left and Right - War and Peace Since, the West Wing mentions Hebrew, let's take as look some old thoughts on the West Wing.